TORRANCE — Kanji Sahara will be the speaker at a program by the Faith United Methodist Church Social Action Committee and the Greater L.A. Chapter of JACL on Sunday, Nov. 18, at 1 p.m. at Faith UMC, 2115 W. 182nd St. (near Van Ness), Torrance. Sahara is a member of Faith and GLA JACL. 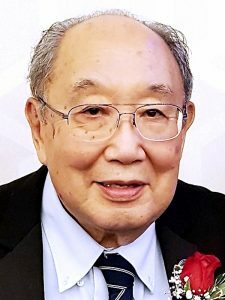 With a slide presentation, the title of his talk is “Military Necessity,” the reason the government gave for the incarceration of 120,000 people of Japanese ancestry during World War II. It will cover topics such as discriminatory laws against the Issei; Presidential Proclamation 2525 and Executive Order 9066; challenges to EO 9066; the loyalty questionnaire; the coram nobis cases; and redress. Interspersed in the presentation will be his family’s journey through Santa Anita Assembly Center and the Jerome and Rohwer concentration camps in Arkansas. The presentation will include Title II of the McCarran Act, Authorization for Use of Military Force Against Terrorists (AUMF), and the present-day Muslim travel ban. Sahara has given the presentation at Continuing Education for the Nikkei Widowed Inc., a mosque in Palos Verdes (Iqra Academy), Congregation Tikvat Jacob Beth Torah of Manhattan Beach. and to the United Teachers of Los Angeles (UTLA). An Oct. 5 letter from Milia Islam-Majeed, executive director of the South Coast Interfaith Council, to Sahara states, “On Sunday, Nov. 5, 2018, the South Coast Interfaith Council (SCIC) will have our 41st annual Interfaith Concert and during this program the SCIC Board of Directors will recognize exemplary individuals who are doing extraordinary things in cultivating social justice right here in Southern California. I am excited to inform you today that you have been selected this year to be a recipient of this great honor for your work in cultivating communities of compassion and justice! All are welcome to the Nov. 18 event. For more information, call Louise at (310) 327-3169.